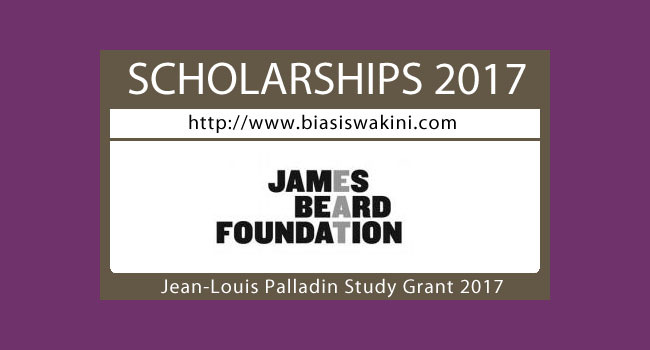 The James Beard Foundation is proud to offer the Jean-Louis Palladin Professional Work/Study Grant. Created to perpetuate the mission and programs of the Jean-Louis Palladin Foundation, the initiative will provide a series of annual grants of up to $10,000 to working chefs. This grant will allow recipients to spend time learning from and working with master growers, producers, and food artisans; to toil alongside renowned chefs in America and abroad; and to study varied specialized skills. 0 Komentar untuk "Jean-Louis Palladin Professional Work Study Grant 2017"